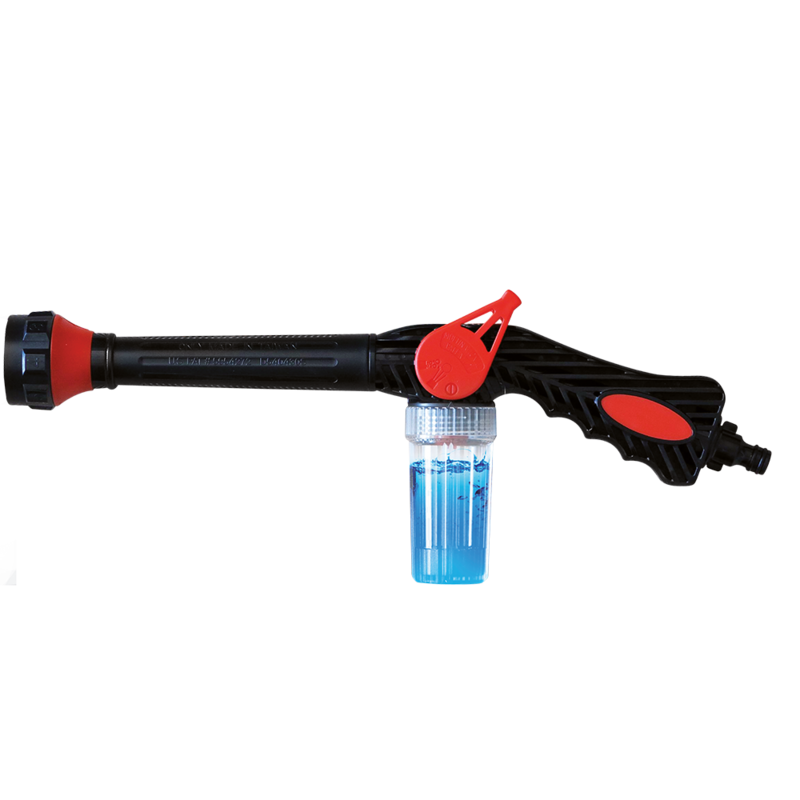 The patented Aquablaster™ is the advanced cleaning tool of choice. 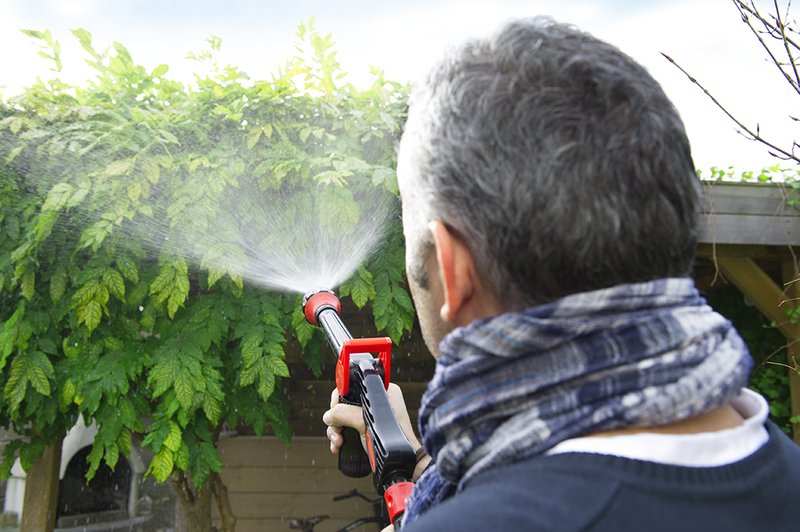 No cleaning job is too big for this high quality hose gun. 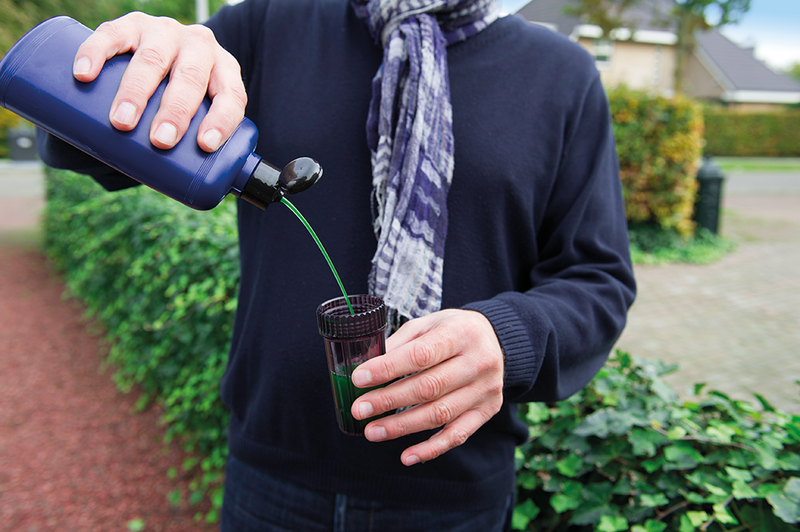 A detachable shampoo reservoir allows it to be used with virtually any type of car shampoo. 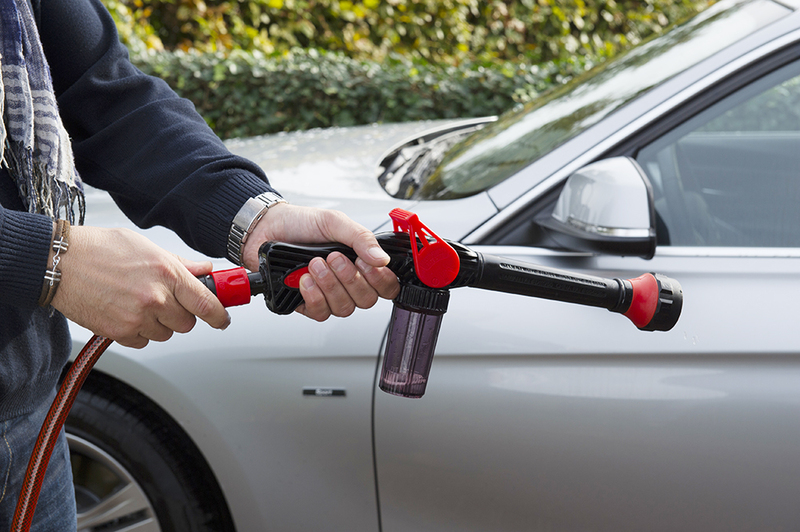 Simply pour soap into the reservoir and utilize the foam jet to quickly pre-soak a vehicle exterior or any other polluted surface. 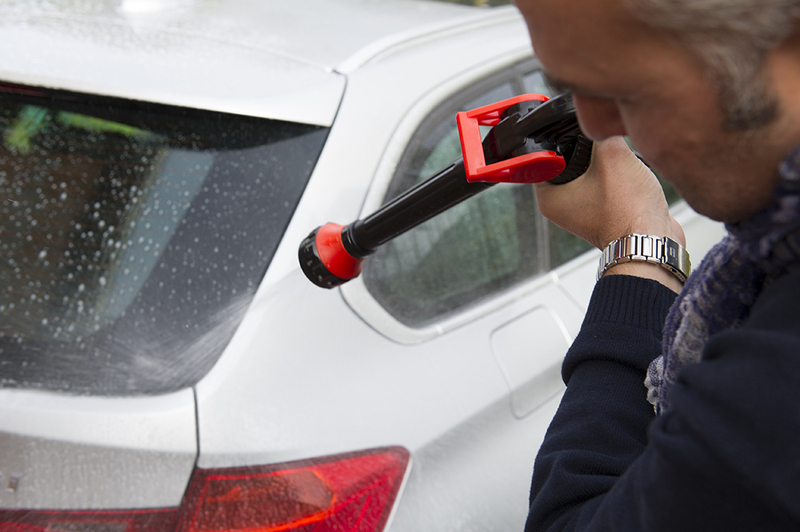 Car cleaning never was so easy. Nothing beats the power of 1.) warm, 2.) soapy, 3.) 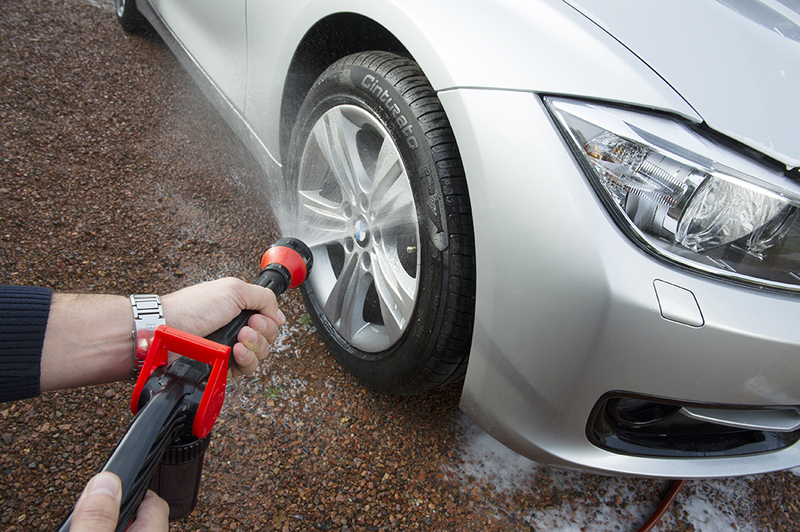 flowing water when it comes to washing your car. 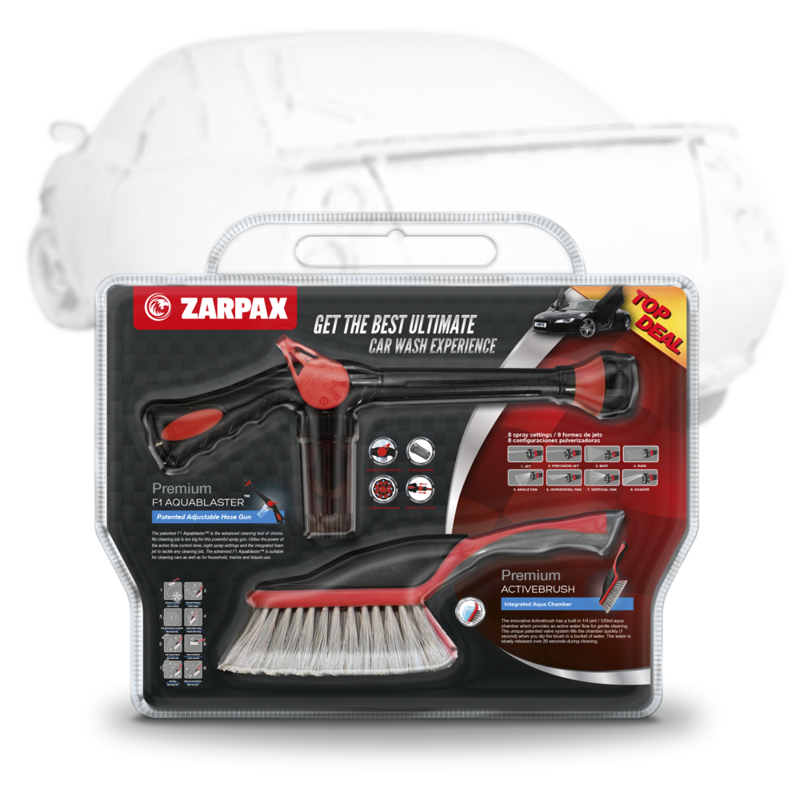 Heat and shampoo dissolve dirt, while flowing water washes away the grains of sand that cause superficial scratches on your paint job. 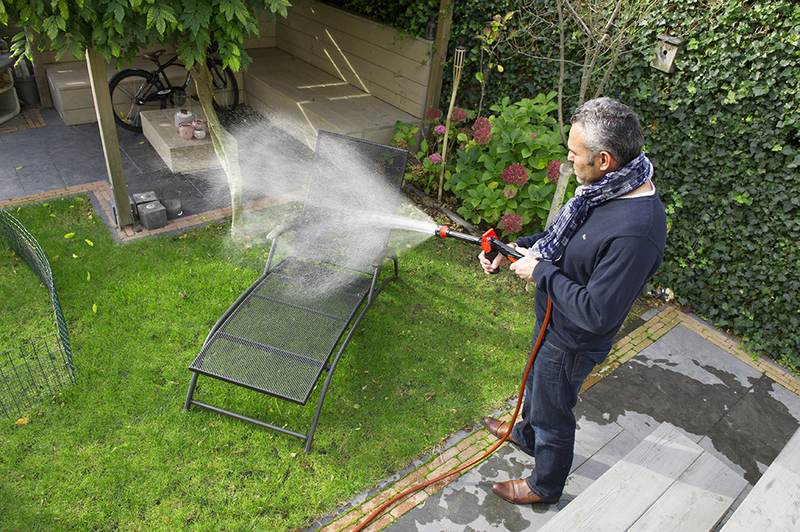 Normal hose brushes require you to attach an unwieldy hosepipe if you want to wash with flowing water. They will not work with your favourite car shampoo either. And who has an outdoor hot water tap? 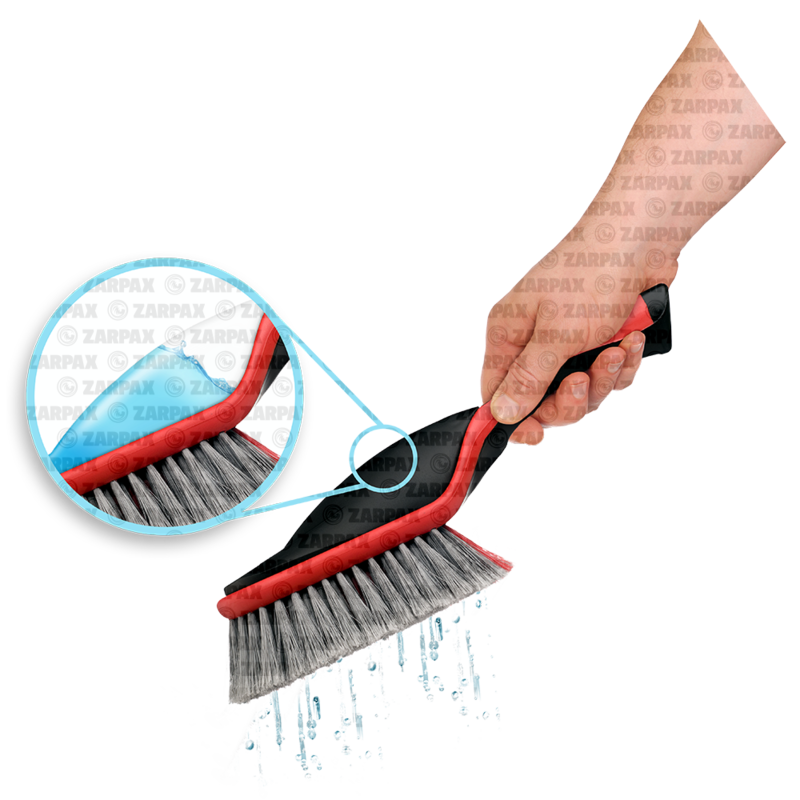 Premium Activebrush™ was designed to offer you a perfect washing experience. It cleans better, can be used with your favorite shampoo, works without a hosepipe and even conserves water. The innovative Premium Activebrush™ has a built in 120ml aqua chamber which provides an active water flow for gentle cleaning. The unique patented valve system fills the chamber quickly (1 second) when you dip the brush in bucket of (warm, soapy) water. 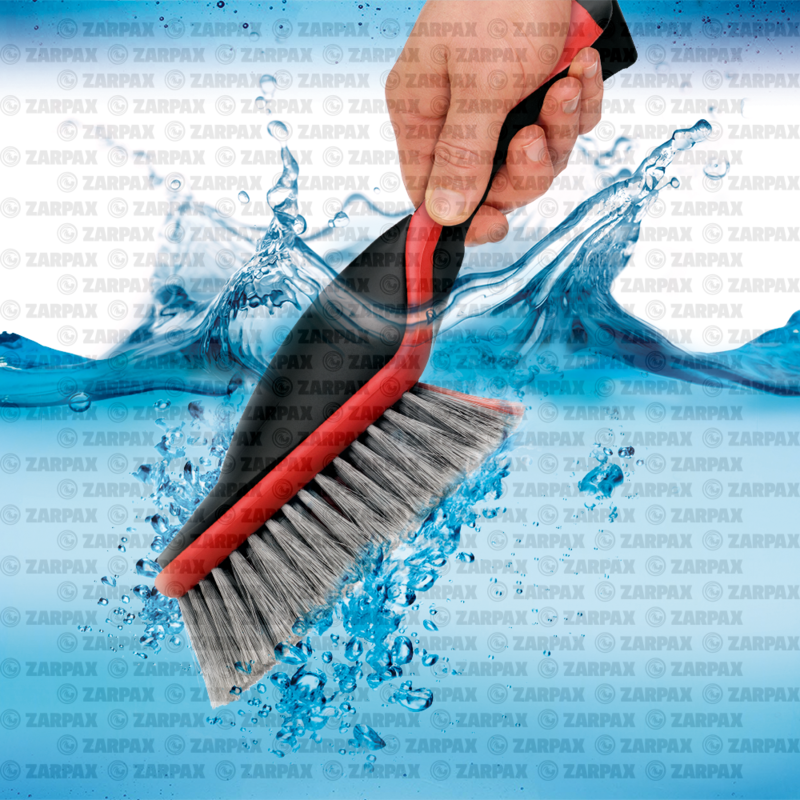 Each time you dip the brush, water is slowly released during cleaning. Premium Activebrush™ simply ticks all boxes. 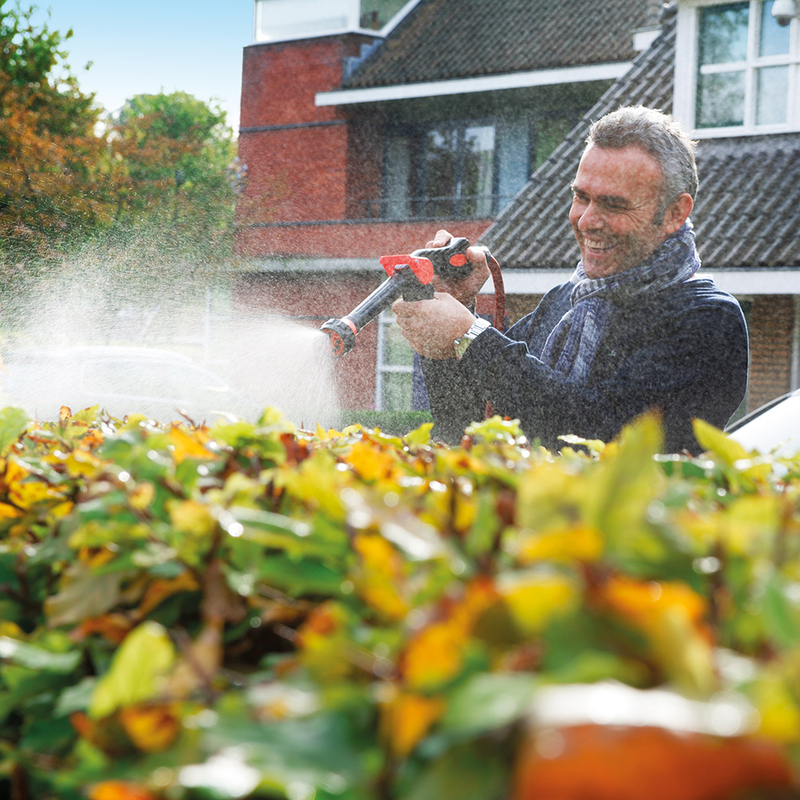 The Premium Activebrush also wastes up to 90% less water than normal hose brushes.